Writing a bio about yourself without it reading like an obituary (‘cause that’s what you really wanted, right?) feels uncomfortable because it’s like boasting when you’re taught to be humble. There is nothing wrong with highlighting the good stuff about your life and business. 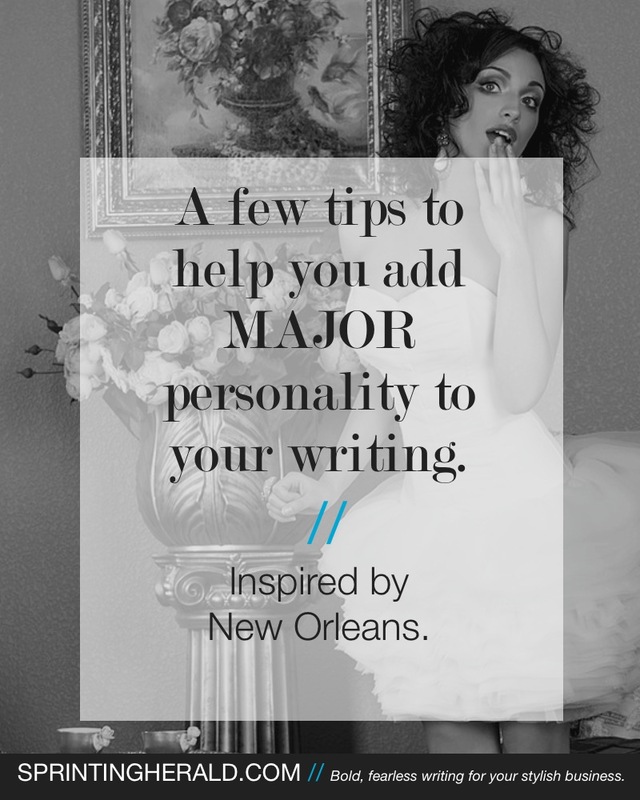 With a little know how and the steps below, you can write a bio about yourself that makes you proud. Write using formula and a with goal in mind. 1. Lead with either your most recent success, OR with an activity you’re known for doing. 2. Follow up with evidence supporting your success and/or expertise. 3. End with where people can find you, physically or online. 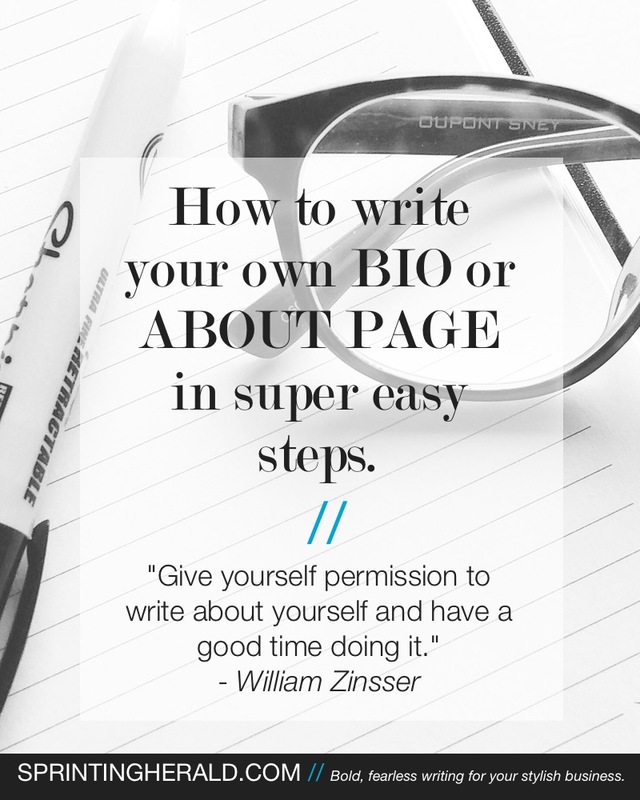 These tips will help you write a bio about yourself even if you don’t think you have anything interesting to write. 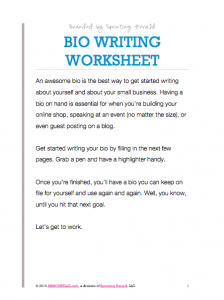 Download my free bio writing worksheet below if you want a step-by-step guide. –*This article originally appeared on my personal blog ARMOURELLE.com.